When the house lights go off, Pete Schroth feels the rush of the audience. 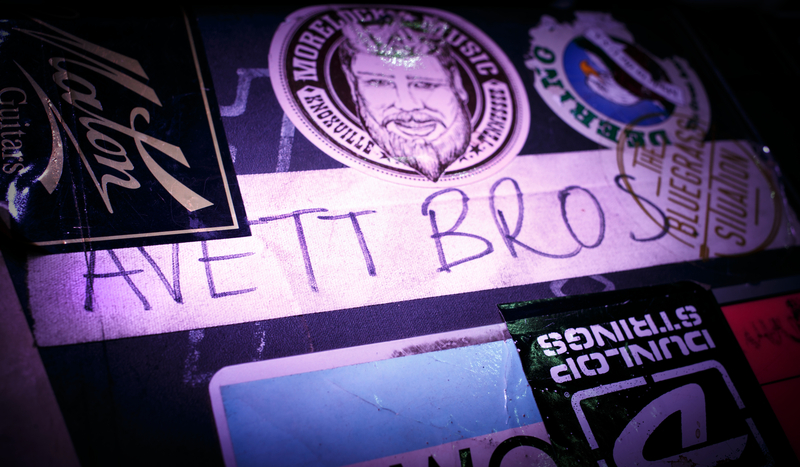 As the lighting designer and stage manager of the Grammy-nominated folk rock band the Avett Brother’s, Pete Schroth manages most of the technical aspects of the band’s performances. That includes whether it’s creating the lighting design or arranging where the band will stand on The Tonight Show Starring Jimmy Fallon stage. Pete started his work as a music promoter, most notably setting up shows in Greensboro for the Billboard-chart topping Avett Brothers. His wife, Anne was also working with the band making the backdrops for their performances. Even with no previous experience, Pete was offered the job as the lighting and stage designer for the Avett Brothers. “I agreed to do it and slowly learned the craft,” Pete says. With help from his master’s degree in visual arts from UNCG, his lifelong passion for music and mentorship from people like The Pixies’ lighting designer Myles Mangino, Pete soon mastered the craft.